Michael Steve WARD [Parents] was born on 29 Jul 1952 in Wichita Falls, Wichita, Texas. Michael married Janna CRAWFORD. Janna CRAWFORD. Janna married Michael Steve WARD. James Edward ROBERTS [Parents] was born on 2 Jan 1938/1939 in Ada, Pontotoc, Oklahoma. James married Margaret Evaline STONECIPHER in Dec 1956/1957 in Rural Stratford, Garvin, Oklahoma. The marriage ended in divorce. Margaret Evaline STONECIPHER was born on 5 Dec 1940. Margaret married James Edward ROBERTS in Dec 1956/1957 in Rural Stratford, Garvin, Oklahoma. The marriage ended in divorce. F i Marla Sue ROBERTS was born on 18 Aug 1959. Vernon Dwayne "Boonie" ROBERTS [Parents] was born on 10 Feb 1940 in Oil Center, Pontotoc, Oklahoma. He died on 4 Nov 2006. He was buried on 6 Nov 2006 in Lightning Ridge Cemetery, Pontotoc, Oklahoma. Vernon married Rita DAVIS. Rita DAVIS. Rita married Vernon Dwayne "Boonie" ROBERTS. F ii Kathy ROBERTS was born on 19 Jul 1958. She died on 24 Nov 2017 from Breast Cancer. P. J. WHITE was born in , , Texas. P. J. WHITE married Julia BIGGERS. Julia BIGGERS was born in , , Texas. Julia married P. J. WHITE. F i Nora L. WHITE was born on 30 Oct 1887. She died on 31 Aug 1930. Isaac DE FORD [Parents] was born on 8 Sep 1820 in , Putnam, Ohio. Isaac married Elizabeth KENNISON on 27 Nov 1845 in , Shelby, Illinois. Elizabeth KENNISON was born in 1826 in , , Ohio. Elizabeth married Isaac DE FORD on 27 Nov 1845 in , Shelby, Illinois. M i Thomas Jefferson DE FORD was born on 7 Nov 1846. He died on 23 Aug 1920. Henry Clay DE FORD was born on 17 Mar 1848 in Des Moines, Polk, Iowa. He died in 1879 in , , Illinois. George W. DE FORD was born on 12 Feb 1850 in Des Moines, Polk, Iowa. Alice B. DE FORD was born in 1859 in Partridge Twp, Woodford, Illinois. Robert Morris SHANE was born in 1765 in , , Ireland. He died in 1821 in , Davidson, Tennessee. Robert married Phoebe CASTLEMAN. Phoebe CASTLEMAN was born in 1760 in Hampshire, Virgina. She died in 1840 in Nashville, Davidson, Tennessee. Phoebe married Robert Morris SHANE. F i Sarah Jane SHANE was born on 24 Oct 1801. She died on 15 Dec 1884. Charles Lee ROBERTS "Sr" [Parents] was born on 13 Oct 1947 in Oil Center, Pontotoc, Oklahoma. Charles married Jo Nell DOWNING. Jo Nell DOWNING was born about 1950. Jo married Charles Lee ROBERTS "Sr". Lance ROBERTS was born about 1968. Charles Lee ROBERTS "Sr" [Parents] was born on 13 Oct 1947 in Oil Center, Pontotoc, Oklahoma. Charles married Myrna "Bertinia" Anita LEWIS. Myrna "Bertinia" Anita LEWIS was born on 3 Apr 1939. 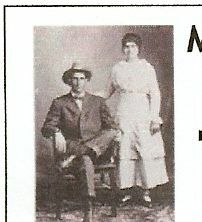 Myrna married Charles Lee ROBERTS "Sr". Charles Lee ROBERTS "Jr." was born on 29 Oct 1970 in Ada, Pontotoc, Oklahoma. Charles Lee ROBERTS "Sr" [Parents] was born on 13 Oct 1947 in Oil Center, Pontotoc, Oklahoma. Charles married Janie LINKER. Janie LINKER was born about 1950 in , , Oklahoma. Janie married Charles Lee ROBERTS "Sr". William Frank LEWIS [Parents] was born on 9 Jan 1886 in Ten Mile, Muggs, Tennessee. He died in Feb 1976 in Ada, Pontotoc, Oklahoma. He was buried in Rosedale Cemetery, Ada, Pontotoc, Oklahoma. William married Minnie Mae ROBERTS on 26 Dec 1915. 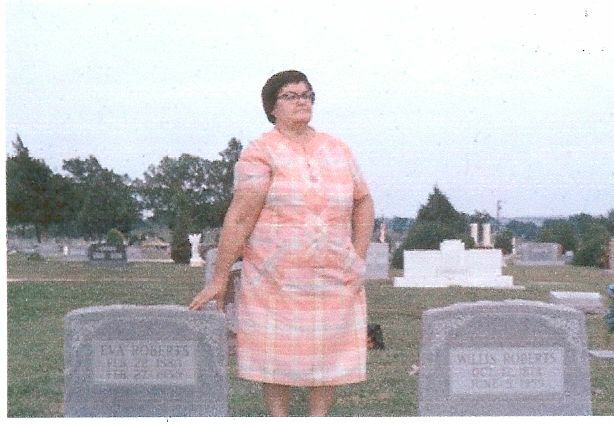 Minnie Mae ROBERTS [Parents] was born on 22 Jun 1896 in Center, Pontotoc I T, Oklahoma. She died on 28 Nov 1979 in Ada, Pontotoc, Oklahoma. She was buried in Rosedale Cemetery, Ada, Pontotoc, Oklahoma. Minnie married William Frank LEWIS on 26 Dec 1915. M i Robert "Bobby" Gene LEWIS was born on 23 Feb 1934.